Nijmegen, Netherlands in pictures is a compilation of our 13 best photos of Netherlands’ oldest city. 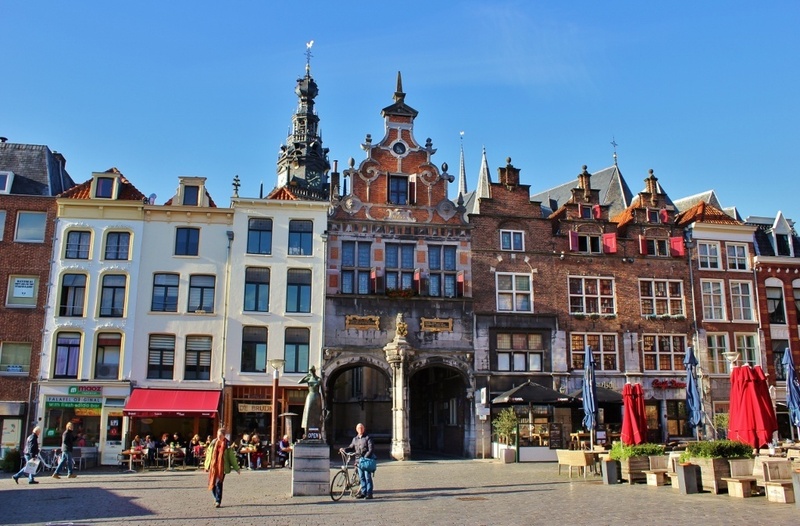 During our two-month stay in the nearby village of Beek-Ubbergen, we made several trips into the city – and were able to capture the beauty of Nijmegen, Netherlands in pictures. 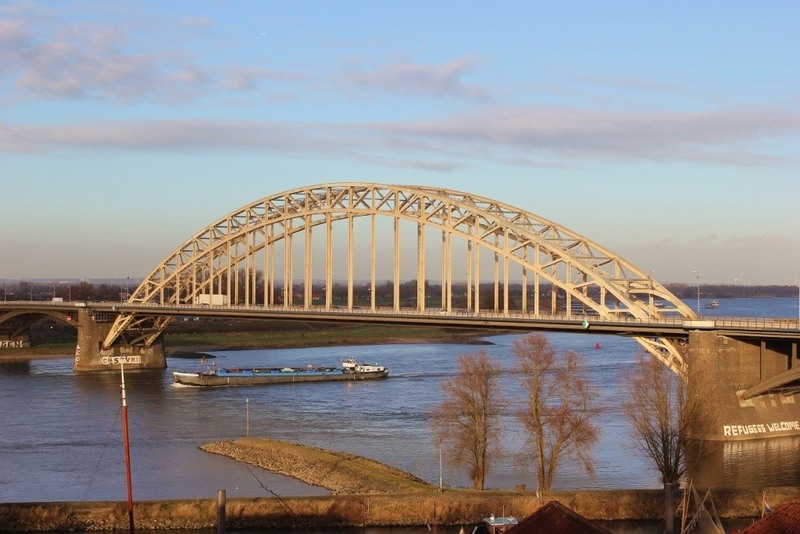 The Waal Bridge: The original Waal Bridge – named for the river it crosses – was built in 1936, but was destroyed shortly thereafter on threat of war. It was rebuilt a few years later…and survived the fighting during 1944. 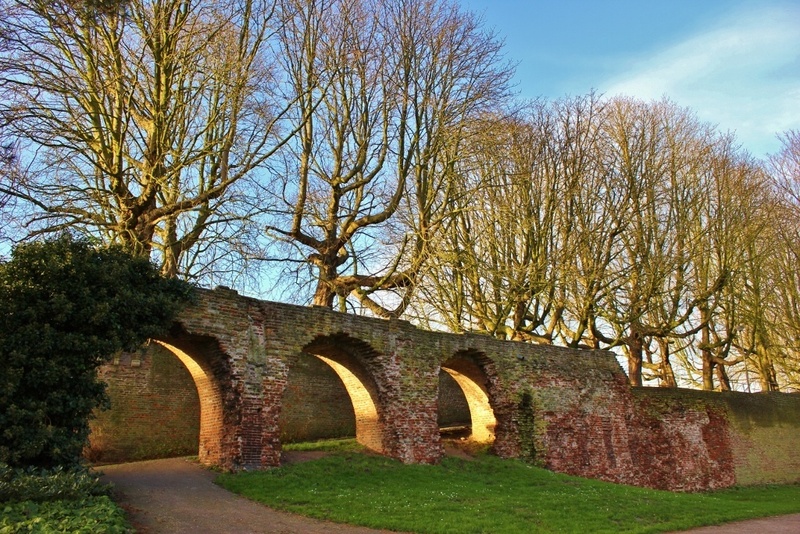 Old Town Wall: Dating to the 15th century, very little of the original town walls remain. St. Petrus Canisius: Born in Nijmegen in 1512, St. Petrus Canisius was a Jesuit Catholic priest who strongly supported Catholicism during the Protestant Reformation. 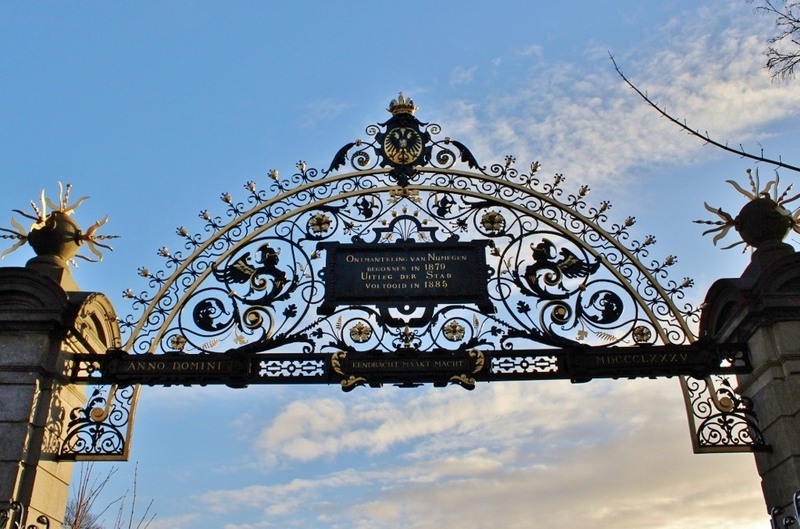 The ornate gate that leads into Valkhof park. 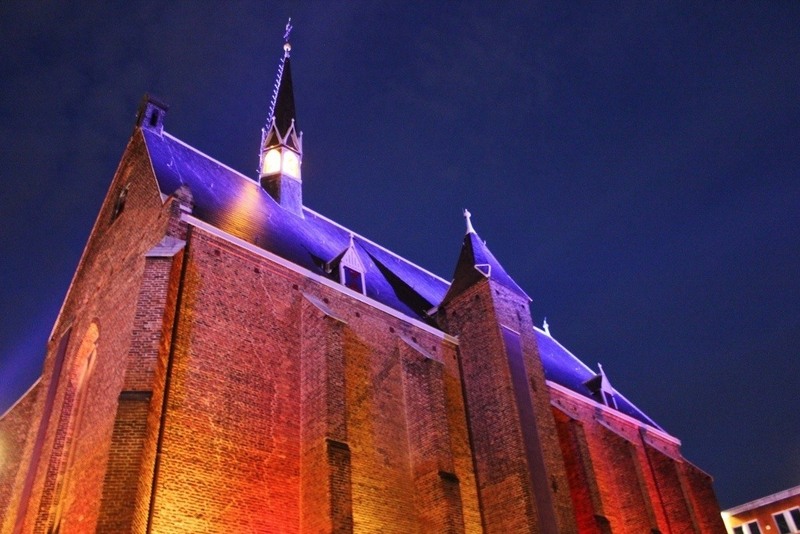 St. Martin’s Chapel: Constructed as part of Charlemagne’s palace is the St. Maartenskapel. Also known as the Barbarossa ruin, it was built in 1155, but all that remains today are the apses and a portion of the choir. 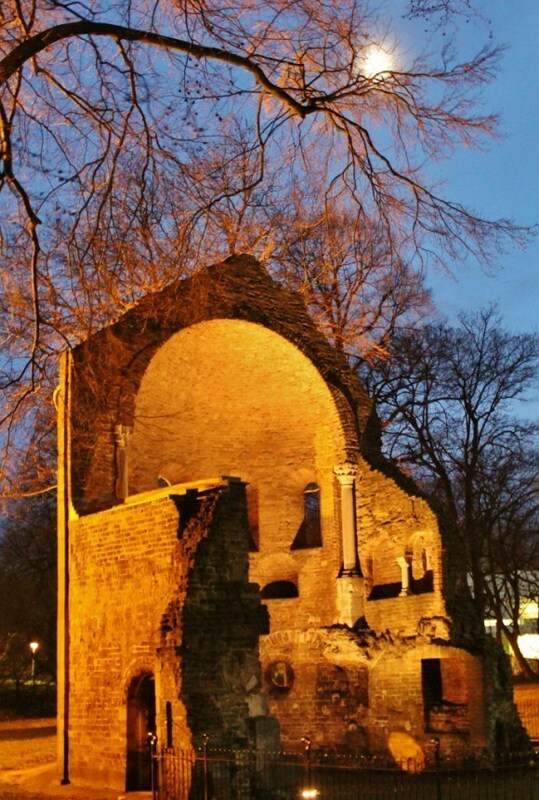 St. Nicholas Chapel: The Valkhof has a rich history, dating back to Roman times. In the 8th century, it was the site of Emperor Charlemagne’s palace. 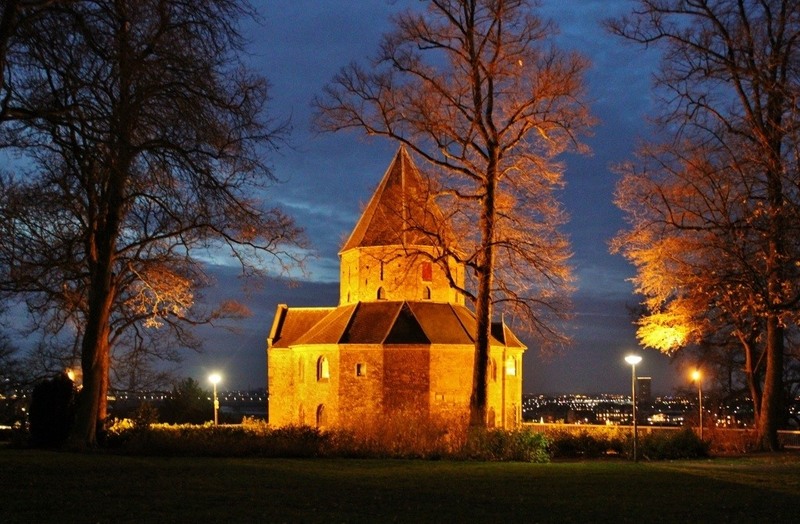 The St. Nicholas Chapel, or Valkhofkapel, was part of the palace and was built in the year 1030. It is one of the oldest stone buildings in the Netherlands. Marienburg Chapel: Built as a Catholic convent in the middle ages, the chapel is now used as an exhibit hall…and house of Sinterklaas during the Christmas holidays. 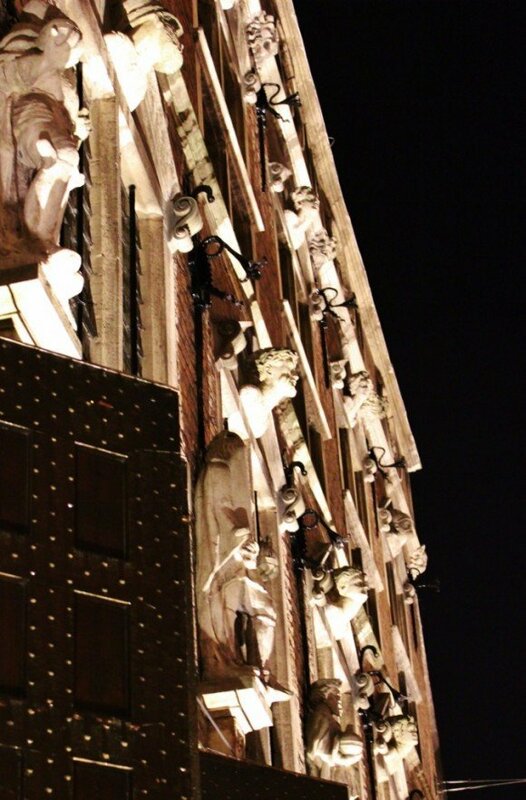 City Hall: The City Hall building was built in 1554 and includes sculptures that protrude from the façade. The building was not damaged during the war, but was set on fire post-war and was restored in the 1950s. Bicycle: In Nijmegen, bicycles are the major mode of transportation. 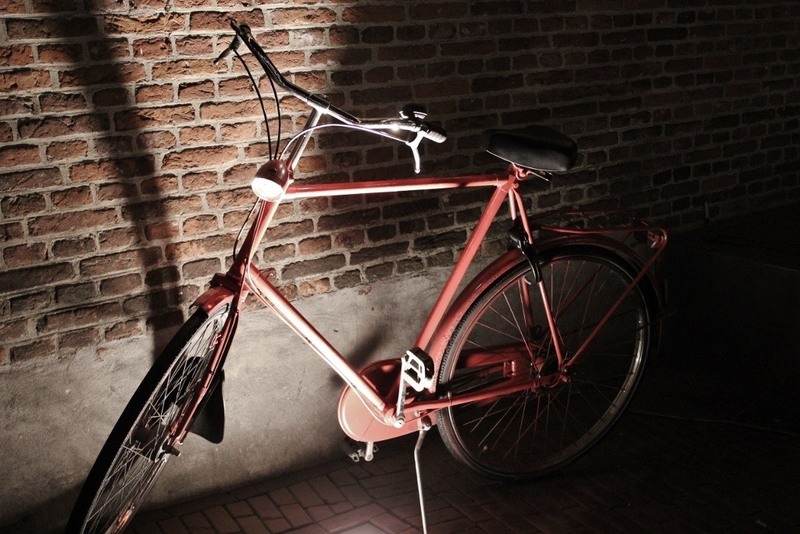 The styles of bike vary as much as the people who ride them. We’ve seen older women dressed in skirts and high heels pedaling along the streets, as well as young children riding to school…and everything in between. 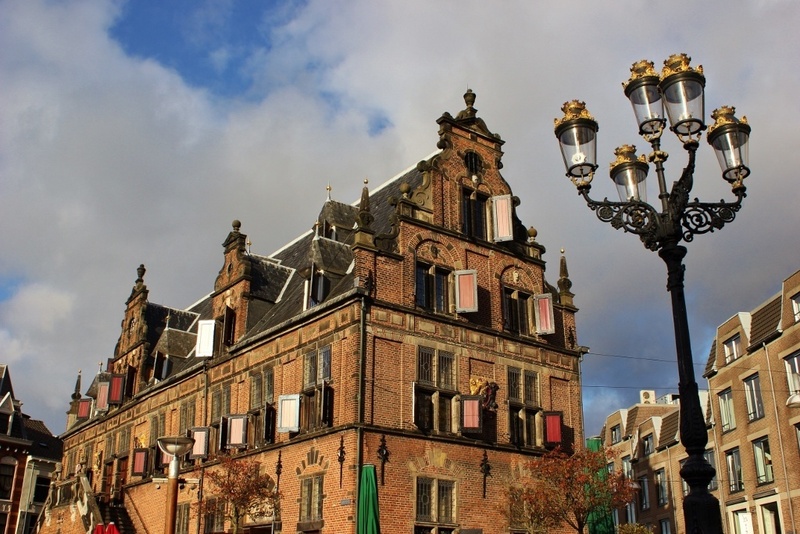 The Weigh House: The Waaggebouw, which sits in the middle of Grote Markt, was built in 1612 in the Dutch Renaissance style and provided the official scales used in the marketplace for items to be weighed. Grote Markt: The Grote Markt is the main square in town and is the point of entry to the church, Stevenskerk (St. Steven’s Church). 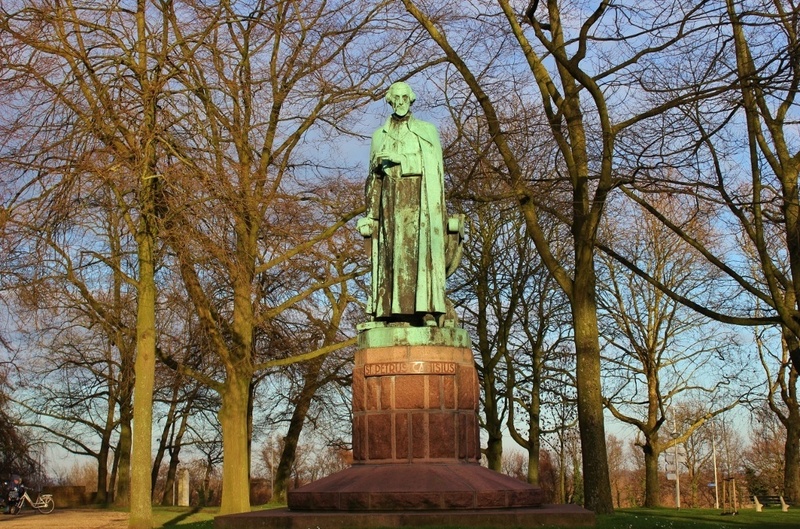 Kronenburg Park: The park, which contains more than 150 unique tree species, is also home to remains of Nijmegen’s past. 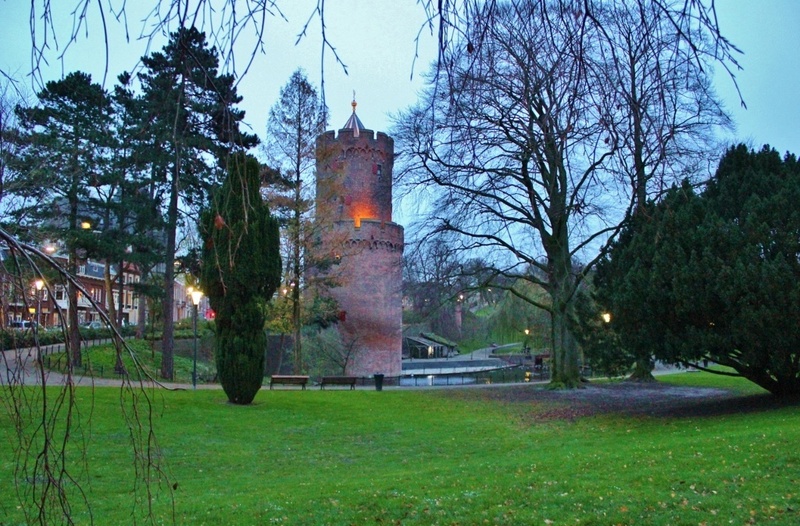 The Gun Powder Tower was built in 1425 as a defense tower that was part of the original city walls. Nijmegen, Netherlands Old Town and the rising bell tower of St. Steven’s Church. 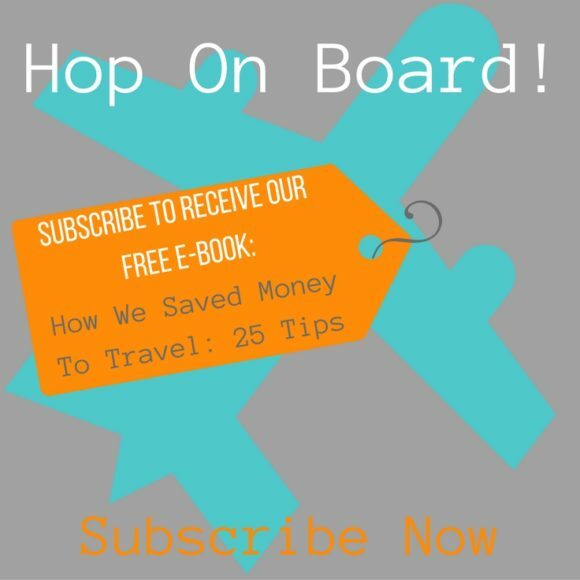 Click here for a city walking tour guide. 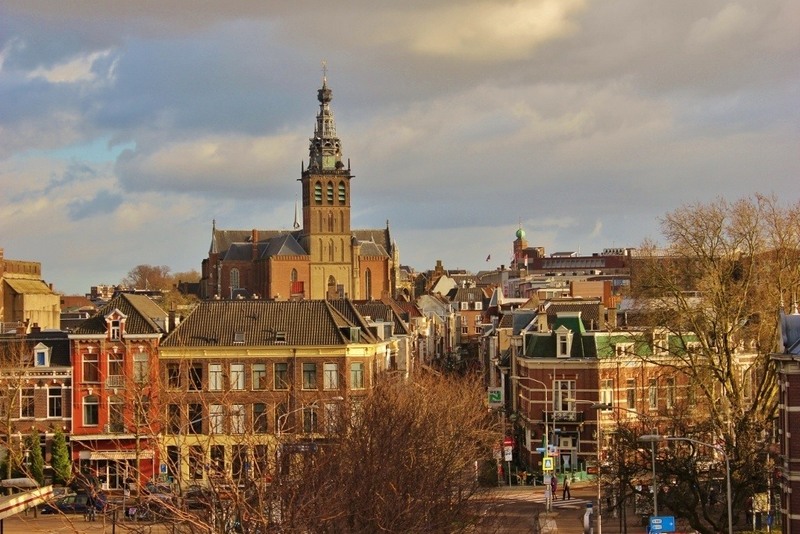 We want to know: Which photo do you like best of “Nijmegen, Netherlands in Pictures”? Tell us in the comments! Thanks Sharon! 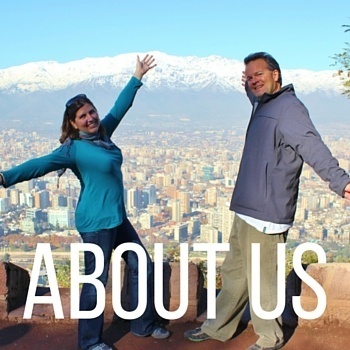 We appreciate ALL of it! 🙂 Cheers!! Some great photos, looks like a lovely place! Thanks Frank! 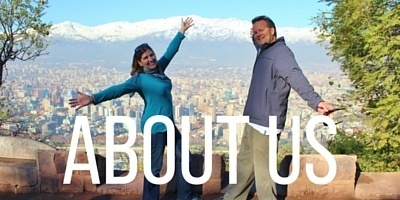 The city and surrounding area totally fit us! Not too big, but bit enough…Not filled with sights, but plenty to see…It was a wonderful place to spend 2.5 months! 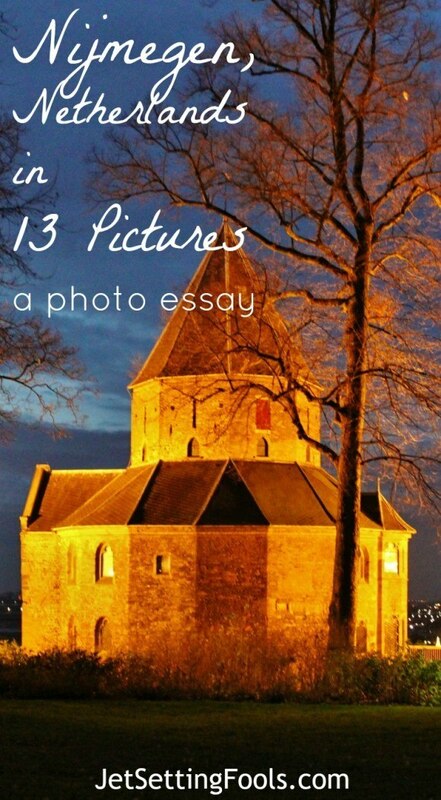 You could be a photographer as well as a writer, love the pictures!!!!! I really like the pic of the bike !!!! I went for a 28-mile bike ride with my sister yesterday on the Wekiva Bike Trail near Orlando Florida……it was fantastic!!!! That sounds awesome! We love all the bikes here in the Netherlands!